How Tall Is Politician Mike Frerichs? You're probably wondering: How tall *is* Mike Frerichs? After all, in his tv commercial, he seems to be towering over regular folks here in Illinois. But, wondering what Mike Frerichs' height is shouldn't be the only question voters ask about Mike. 1. 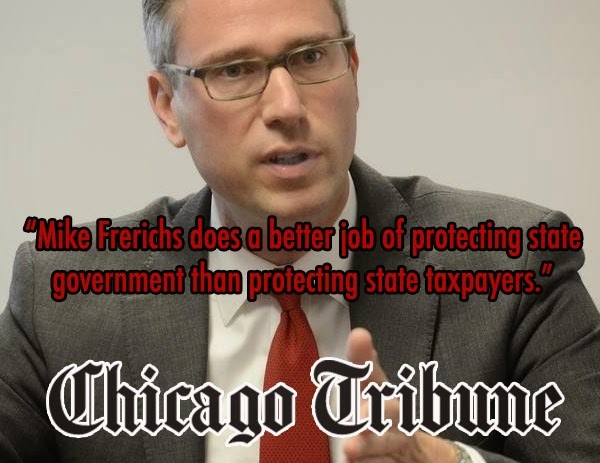 Why did the Chicago Tribune endorse his opponent and say: "Mike Frerichs does a better job of protecting state government than protecting state taxpayers." 2. 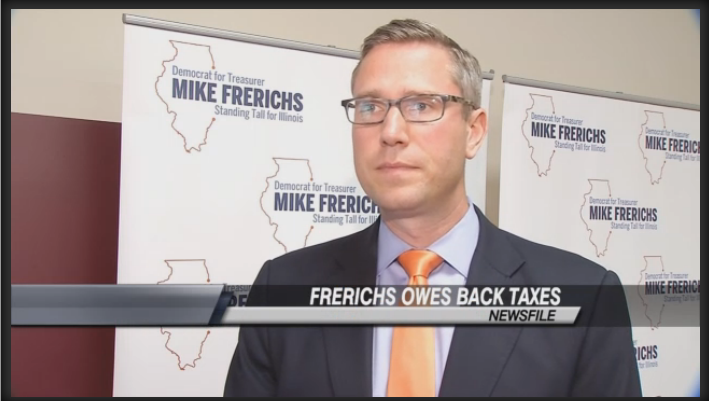 Why did Mike Frerichs vote to raise our taxes here in Illinois and then turn around and fail to pay his own property taxes for almost seven years. Yes...Mike Frerichs the politician decided he didn't think he *had* to pay his property taxes, so he didn't pay them. Until the newspapers started to write stories about him getting caught. Then...he paid his property taxes. 3. Why did Mike Frerichs vote for unbalanced budgets? Where we come from, spending has to match revenues. We don't need more politicians who want to spend, spend, spend without thinking about how Illinois is going to pay for it. 5. 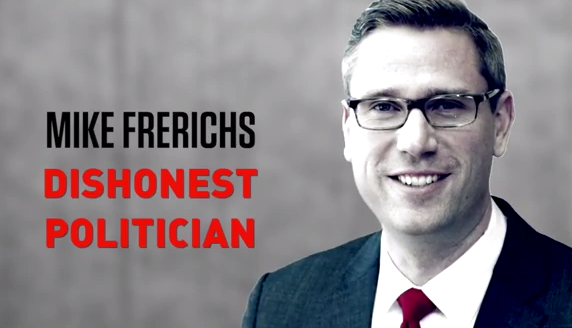 Why did Mike Frerichs - in his campaign launch video - say that he 'lead by example by ending free lifetime healthcare for legislators" - when he voted against the bill. Oops, was his response when he got caught. 6. Why did Mike Frerichs badmouth overseas investments but when he was informed that the ONLY overseas investment the Illinois Treasurer makes is with Israeli bonds, he changes his mind? The bottom line: Sure...we all should wonder how tall Mike Frerichs - the Illinois politician running for Illinois State Treasurer - really is.....but we also should be asking these other questions. Illinois can't afford a guy like Mike Frerichs as Treasurer.